Globe-trotting, nomadic design is a significant theme for the spring/summer 2018 collections, a trend that is reflected in the showroom displays for London Design Week 2018. As part of the ‘Legends’ initiative, showrooms took visitors on an exotic tour, thanks to collaborations with top designers. 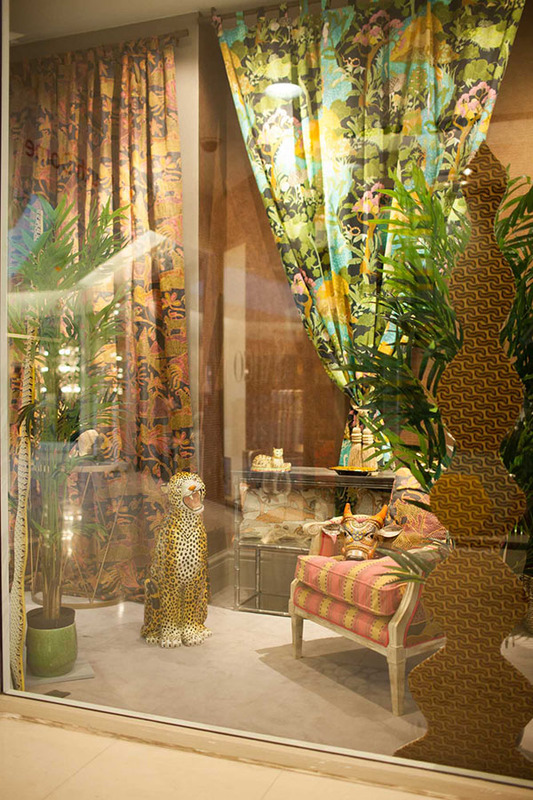 Jo leGleud of Maddux Creative’s huge ‘Vintage Aztec’ rug filled Tim Page Carpets’ window, while at Lizzo, Shauna Dennison brought to life her ‘Beyul’ collection for Pepe Peñalver with china monkeys and leopards, colonial-style furniture and lush potted plants. Anthony Gyseman of Flint Design Studio was given free rein with Pierre Frey’s Arapahos and Grand Canyon collections, both inspired by the New World. 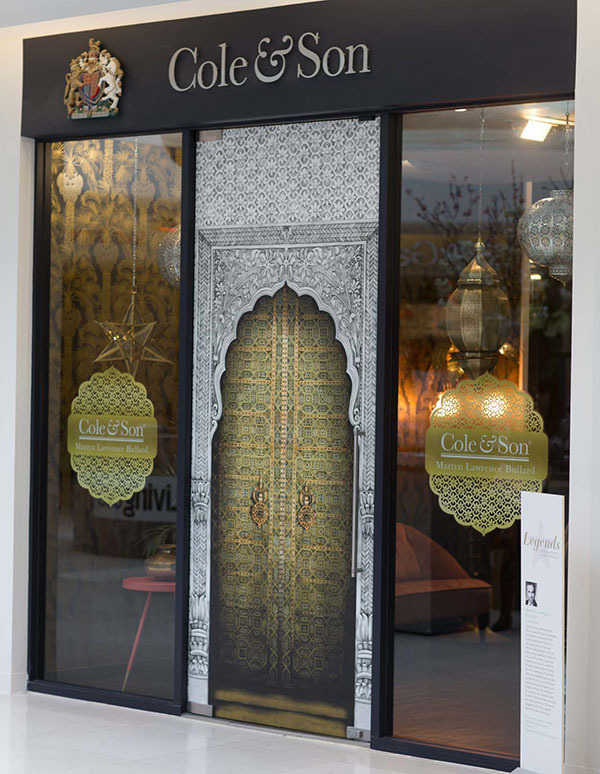 Sometimes, this transporting design was continued inside, too: Cole & Son’s doorway was transformed into the entrance to a tranquil Islamic palace, to mark its new collection with Martyn Lawrence Bullard, with a tinkling fountain and heady incense fragrance inside the showroom to stimulate all the senses. This season, the mood is decidedly upbeat, bringing a new energy and playfulness to interiors. It’s all about telling a story, a curated narrative to explain who you are and what you like. So unleash your wild side with Beyul, a new fabric collection for Pepe Peñalver at Lizzo. Named after the hidden Himalayan valleys that Tibetan Buddhists hold sacred, it offers a lush painterly landscape of stylised mountains, foliage and animals on linen and cotton. 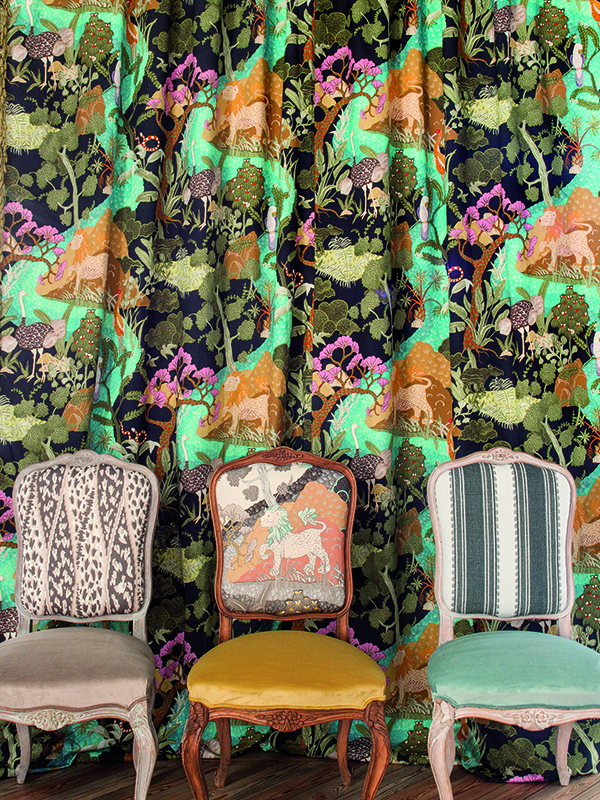 There are six designs, including ‘Shangri La’ (pictured on the main backdrop and centre chair-back), which teems with wildlife including a lion, ostrich and parrot, roaming amid the densely detailed scenery. The textile and wallpaper designer on her new collection for Pepe Peñalver, and why Design Centre, Chelsea Harbour is “the most amazing creative hub”. Hands-on workshops at London Design Week 2018 offer the chance to get creative – and even be rewarded for your creativity. Perrin & Rowe’s new showroom features a ‘make a moodboard’ booth, stocked with samples of fabrics and materials plus inspirational tap images; the best-looking board wins a night in a London hotel. Or paint a tile at Artisans of Devizes, and have it sent away, fired and returned to you for posterity. 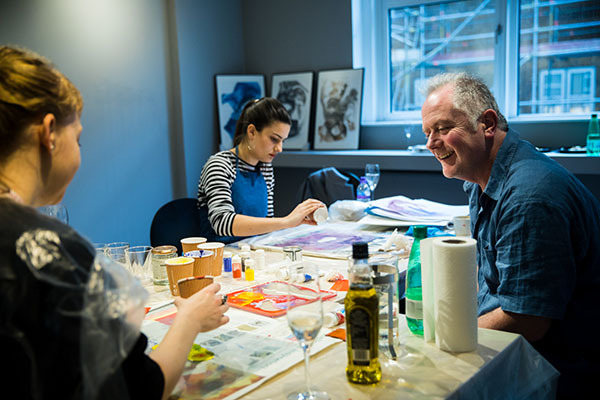 At Black & Key, artist Fintan Whelan (pictured) led a session in which participants could make a piece of abstract art of their own. Julian Chichester hosted creativity sessions, with sketchbooks at the ready and lots of inspiration on hand all around the showroom. 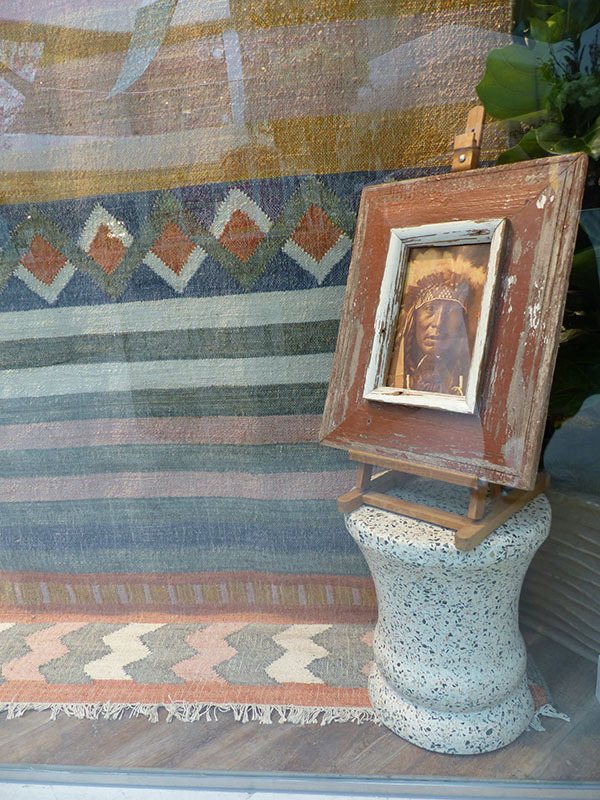 The founder of Tissus d’Hélène on protecting and encouraging declining skills such as hand-block printing. “People come here because they know they’re going to see something different,” she says. With one-third of all the showrooms now situated in Design Centre East, the Design Hub – the ground-floor space linking it to the domes – became one of the buzziest spots of London Design Week 2018. Thanks to its redesign for the show, it was a spring-like arbour with a lilac palette. Under the trailing tendrils of two life-sized faux-wisteria trees, Sanderson’s ‘Wisteria Falls’ fabric formed the ceiling canopy, with the same design repeated on the walls, while Etamine’s ‘Kelim’ fabric (from Zimmer + Rohde) upholsterered the banquettes and Original BTC’s ‘Well glass’ lighting added an edgy industrial contrast to all the prettiness. 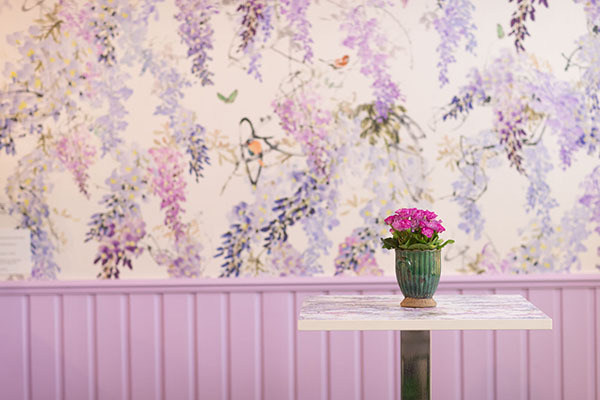 Linger a while in the Refuel & Revive café – or just stroll through and be revived simply by its exuberant design. 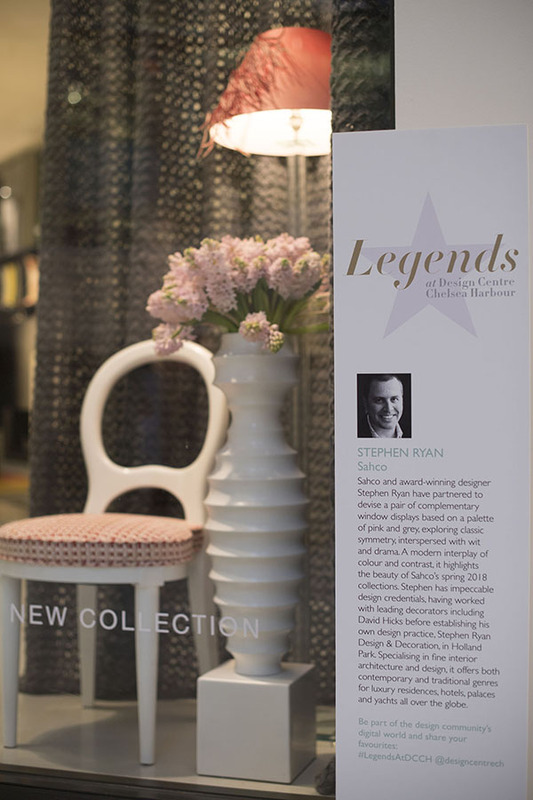 It’s not surprising that so many showrooms chose to team up with interior designers and architects to devise their ‘Legends’ displays for London Design Weeks 2018. 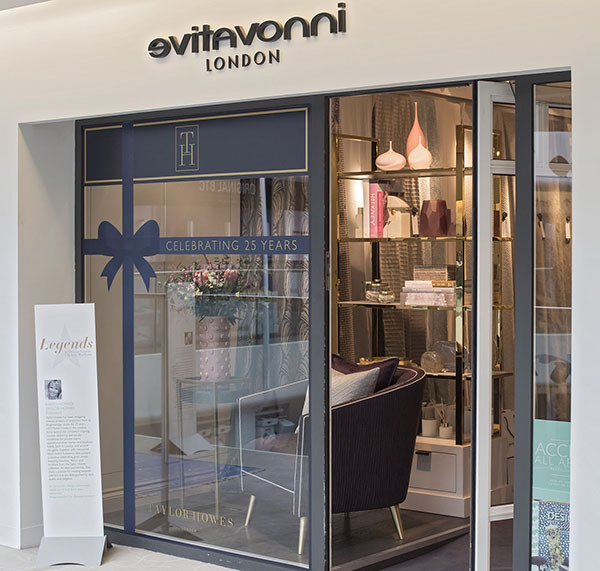 Distilling their creative flair into a few square metres that need to pack a visual punch proved no problem for the likes of Hill House Interiors (working with Bella Figura), Taylor Howes’ Karen Howes (at Evitavonni), Stephen Ryan (at Sahco) and Goddard Littlefair (at Perrin & Rowe). 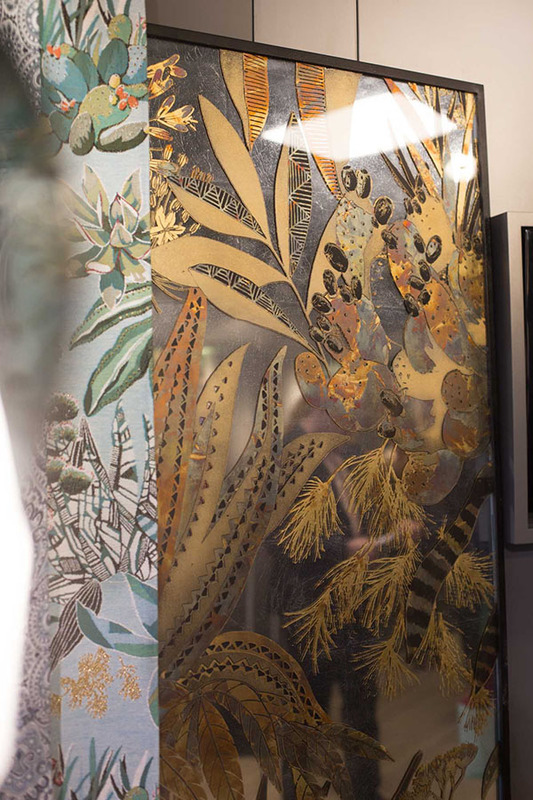 Kamini Jivan of Studio Kamini brought an exotic air to The Silk Gallery thanks to a pair of giant giraffes, while Lucia Caballero’s smart, fully stocked drinks trolley drew visitors into Tufenkian Artisan Carpets. 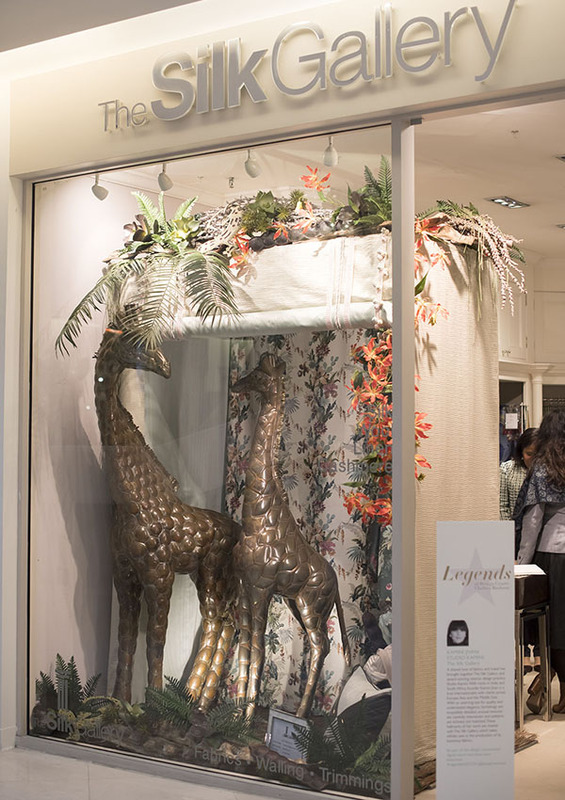 With a shared passion for British craftsmanship, Carolyn Parker and Abigail Owens took over the window of McKinney & Co to showcase their sumptuous nursery fabrics for The Gainsborough Silk Company. 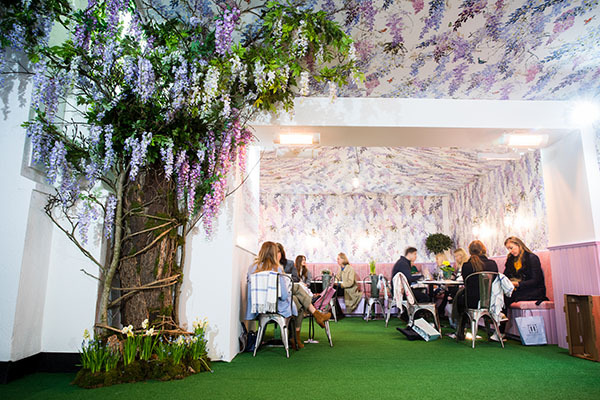 Colony’s collaboration with Lambart & Browne’s Freddy van Zevenbergen, with its whimsical hand-drawn lemon tree and dog adorned with fabric, was a scene-stealer for judges Gabby Deeming of House & Garden and Martina Mondadori Sartogo of Cabana magazine, who awarded it a highly commended prize. Pictured top to bottom are: Kamini Jivan/Studio Kamini at The Silk Gallery; Stephen Ryan at Sahco; Gabor Ulveczki/Ulgador at Lelièvre Paris; and Taylor Howes’ Karen Howes at Evitavonni.